If you own or operate a business that relies on gas and diesel fuel as a revenue source, partner with Pope Transport. We provide comprehensive fuel services to some of the leading companies in the Carolinas and Virginia, like Handy Mart and Circle K®. Pope Transport is available to dependably and reliably provide your business with the fuel it needs to survive and thrive in the future. For over 75 years, Pope Transport has been a leader in the fuel transportation industry. Our specialists can work with your NC, SC or Virginia location. Delivery Service: Our fully-insured, licensed and service-oriented truck drivers help move fuel to clients throughout North and South Carolina in a timely and safe manner. Our delivery professionals are currently available to assist any business with its fuel transportation needs. 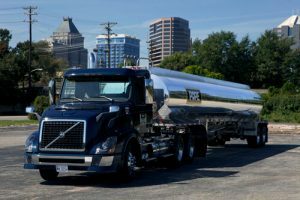 Inventory Management: Managing gas and diesel fuel inventory can be difficult — let Pope Transport make life easier on your business with one of the premier inventory control systems in the fuel transport industry. Pope Transport transfers petroleum safely and securely — it is one of the hallmarks of our business. Our team can evaluate your needs and work with you to find a solution that fits them. Businesses We Typically Work Within North & South Carolina and Virginia. We serve customers in the Raleigh, Durham, Greenville, Greensboro, Charlotte, Asheville, Wilmington, NC, Columbia, Spartanburg, Greenville, North Augusta, Lexington, Charleston, SC and Chesapeake, VA. Contact our team of specialists by phone at 800-329-1137 and let us assess your needs today!